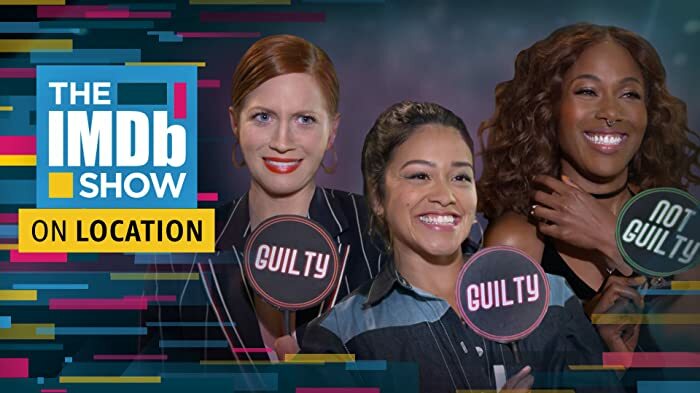 A dramatic thriller based on real events that reveals the quest to expose the deceptions and corruptions of power that turned an Internet upstart into the 21st century's most fiercely debated organization. | The truth may be in there somewhere. I tend not to read reviews until after I've watched a film lest they sway my opinion, but it wasn't hard to miss the nonchalance (that veers towards damnation) with which The Fifth Estate has been received. Nor that it plays just once per day, at 9pm, at my local Cineworld compared to five screenings per day for Captain Phillips, eight for Ender's Game and fourteen for Thor: The Dark World. But Bill Condon's (Gods and Monsters, The Twilight Saga: Breaking Dawn) film about Wikileaks founder and hero/pariah (delete according to your political stance) Julian Assange really isn't that bad. Take that as you will. 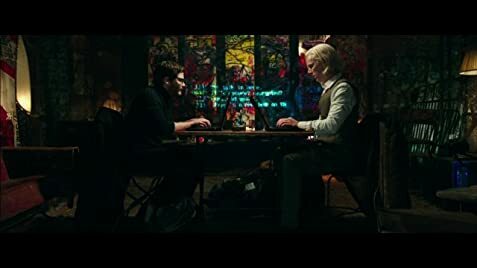 Not really a biopic, The Fifth Estate takes a similar approach to Assange as The Social Network did with Mark Zuckerberg, looking more at the product of the man than the man himself. It consumes 8 minutes more of your time than The Social Network, feels twice as long, is far more arduous and will require just a single viewing, compared to repeat visits for the Facebook flick. Trudging through the meeting of the ultimate whistleblower Assange (Benedict Cumberbatch) and Daniel Berg (Daniel Brühl), the explosion of Wikileaks in the public's perception, the shadowy deals with The Guardian and the fall out from countless exposés about underhand dealings from governments and corporations, The Fifth Estate spews out a huge amount of information but never quite manages to get down to the gritty truth. It feels cluttered and more of a lecture than a movie and I'm not sure I know a great deal more about Assange now than I did yesterday. Too much has been shoehorned into its 128 minute running time but it still only glances over some of the highest profile matters surrounding Assange: the Bradley/Chelsea Manning revelations and the sexual misconduct allegation against Assange that have led to his exile in the Ecuadorian embassy in London. Cumberbatch succeeds admirably in portraying Assange as an obsessive with a serious case of egotism and a lack of social graces or personal care. It's a fine performance and will be a revelation to those who know Cumberbatch only from BBC's Sherlock or Star Trek Into Darkness. He is eminently watchable and succeeds in making an unpleasant man fascinating to watch. Assange wrote an open letter to Cumberbatch hoping to dissuade him from portraying him on film in The Fifth Estate, a "wretched" film, a work of fiction "based on a deceitful book", and one imagines that, should a copy of the film reach him inside his 'prison' he'll be dismayed by the way he is portrayed. Perhaps he'll be magnanimous to concede that, nevertheless, it is a fine performance from Cumberbatch. Many of the other prominent actors don't fare quite as well. Brühl follows up his superb performance in Rush with a more downbeat character that he never really sinks his teeth into. Like Brühl, Alicia Vikander, Berg's love interest and just one of many thorns in Assange's side, has little to play with and her performance is smothered by the presence of Assange. Bucking the trend, David Thewlis gives a pastiche of a Guardian journalist, more given to flouncing noisily into meetings and huffing in exasperation than acting. But Thewlis' performance is evened out by able turns from the new Doctor Who, Peter Capaldi, Laura Linney and Stanley Tucci, though with so many characters vying for screen time and Condon battling to squeeze in as much information as possible alongside some outdated 80s techniques (text across faces, anyone? ), they, too are lost in the mêlée. The Fifth Estate isn't a great film and it may not be terribly truthful (the jury's still out on that one) but, despite it's flaws, I still enjoyed it. Once! And maybe truthful representations aren't important. As Cumberbatch wrote in his response to Assange, "
the film should provoke debate and not consensus." And in that, at least, The Fifth Estate succeeds admirably. For more reviews from The Squiss, subscribe to my blog and like the Facebook page. On July 2012 it was reported that Jeremy Renner was very keen on playing Julian Assange. However, it was announced on October the same year that Benedict Cumberbatch has landed the lead. Daniel Berg: Editing reflects bias. After Manning is busted and communications between Assange and Domscheid-Berg are cut, Marcus chats with Assange. Then Domscheid-Berg uses Marcus's laptop to chat to Assange. The chat somehow recognizes the change in typing person, reflecting this in stating that the message came from "ddd" / Domscheid-Berg. Alicia Vikander: "Tomb Raider 2"
Upcoming Cumberbatch project that excites you most?